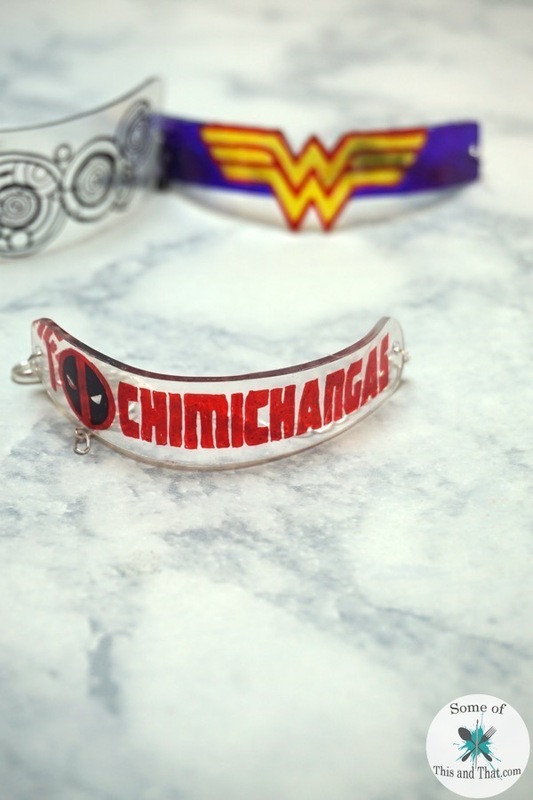 DIY Nerdy Shrinky Dink Bracelets! Lately I have been a little obsessed with Shrinky Dink. It is just such a fun product to play with! You can make charms, pins and even things like sun catchers with it! 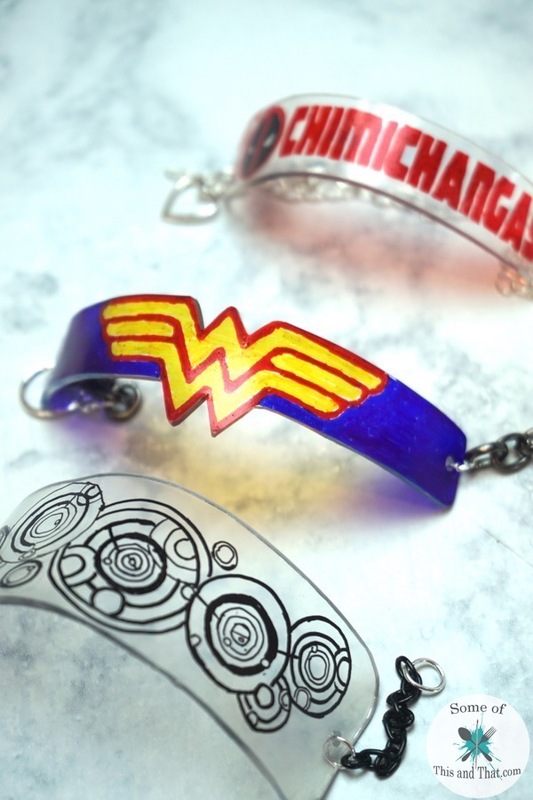 I decided I wanted to play around with it and make some fun DIY Nerdy Shrinky Dink Bracelets! You only need a few basic things to make these. I used some left over chains and clasps that I had from a previous project, so the only thing I needed to buy was the Shrinky Dink. 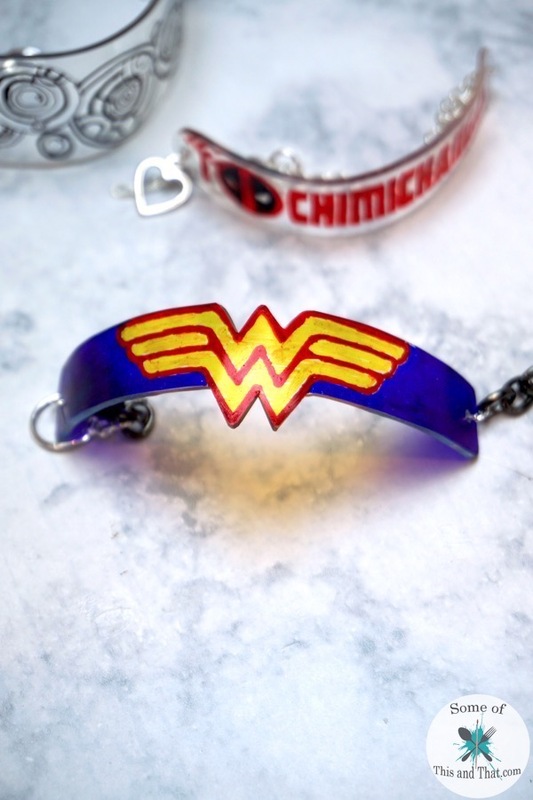 I will say though, my favorite out of all of the ones I made was my Wonder Woman bracelet. If you have been around for a while, you know that I am a little obsessed with Wonder Woman. I also had to make a Deadpool one, because he is my favorite Merc with a Mouth! You can make any design that you want, that is what is so great about this project! Check out the video below to see how I made them! Be sure to head over the YouTube video and enter to win the giveaway! 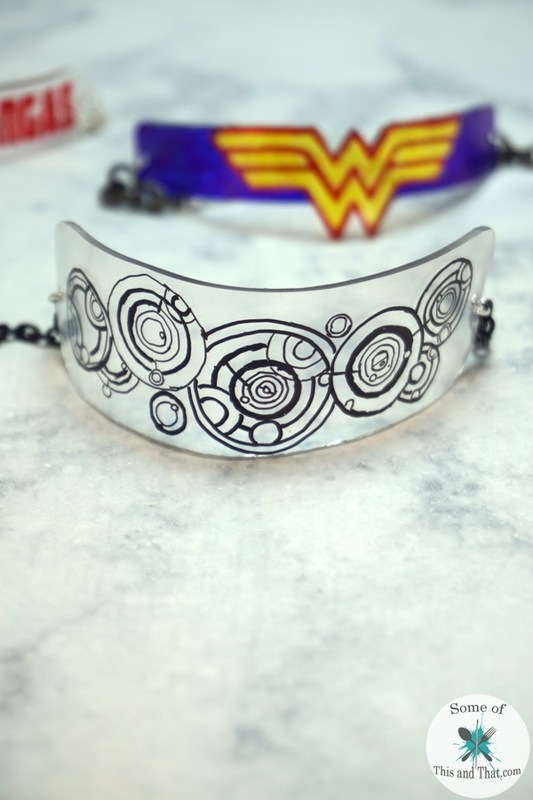 Love all things Nerdy? Check out my Pinterest Board or our Nerds Only Section here on the blog! We also just opened up an Etsy Shop, so be sure to check it out!